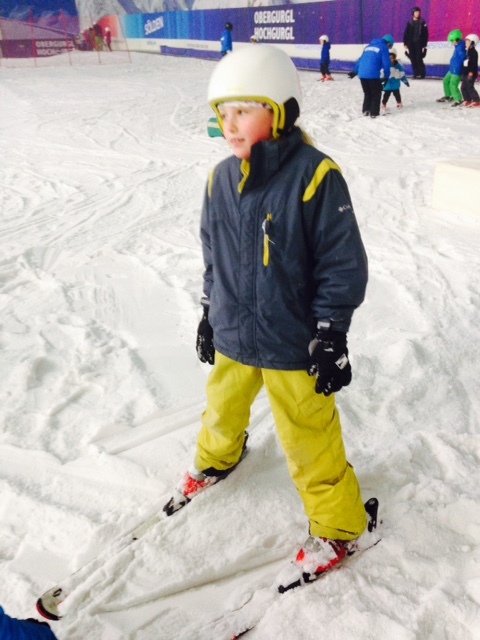 During October Half-Term we had the opportunity to go to The Snow Centre in Hemel Hempstead, we’ve been skiing there before and we had a sledging party for my daughter’s 6th Birthday a couple of years ago. As a Canadian I was impressed with the quality of snow, pretty close to the real stuff. 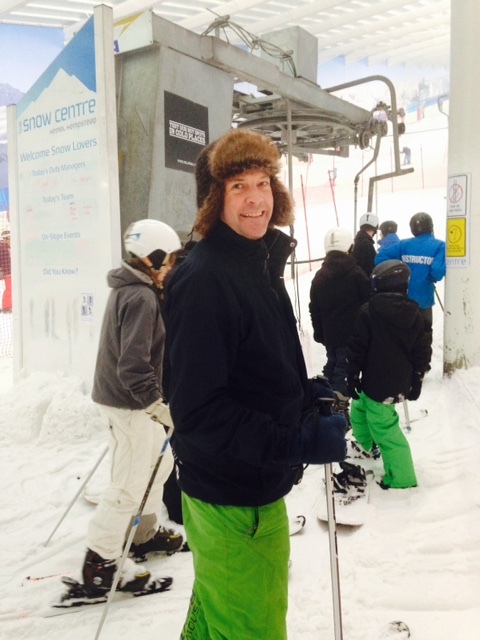 As we live in St Albans, the Snow Centre is normally less than 20 minutes away by car. Unfortunately, on this occasion, the main road in was closed due to an ‘incident’. Luckily, we were able to find our way around the incident and weren’t too late. 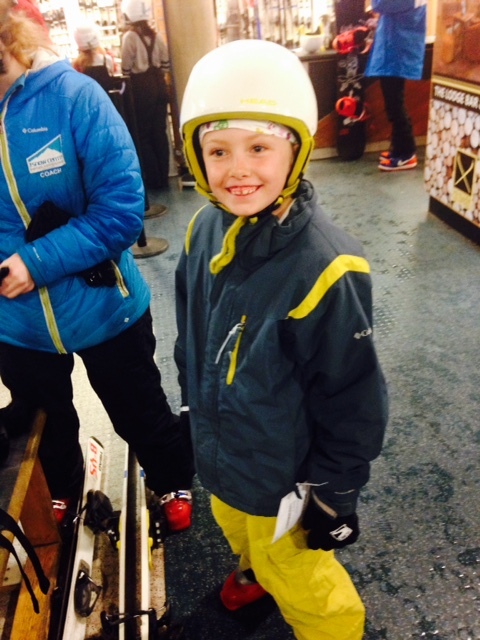 We were actually on time but left us with less time to get kitted up – skis, boots, poles and helmets were included in the lesson. You can also hire clothing if you don’t have any of your own. This made it a bit stressful as I hate being late. However, the staff were excellent helping us get organised and calmed me down, it took 3 trips to the ‘clothing department’ to get the correct size snow trousers and two to the ‘equipment section’ to get the right size boots, which was not a fault of the Snow Centre and my daughter did wait till she had her boots on to tell us the trousers were too big. Grrr! Being half-term it was rather busy but it was all very well organised and flowed, after check-in you were guided to an area to meet your instructor and get ready. It did look chaotic but it really wasn’t. We had an adults lift pass and a private lesson for our daughter. My 67-year old mother was visiting from Canada at the time, so we had to decide which one of us got the lift pass. Coincidently she taught me to ski as a child, my first skis were 110cm and we did toy with the idea of sending her. However, in the end, as she was only going to be with us for a week and we hadn’t seen her in 15 months, we didn’t think we should risk an injury, so we sent my hubby in the end. It’s like riding a bike……. 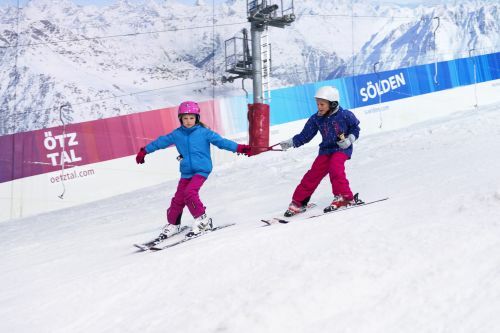 The ski hill is split into two sections, those who are proficient can whizz up and down on the left and the group and individual lessons happen on the right. So hubby went off to the left, while our daughter went off to the right for her lesson and we went upstairs to watch from the viewing platform. It’s been awhile since my husband has been skiing and he said it didn’t dawn on him till he got to the top of the drag lift that he may not remember how. Secretly, I was hoping for him to bail so I could get some good photos, sadly he didn’t. My daughter’s instructor was lovely and patient. She had our daughter going up the learner slope in minutes, she used great analogies like pizza slices to introduce her to turning and the snow plough. She did spend a lot of time on her bum but had a brilliant time and as soon as she came off the slope, she asked if we could come again. 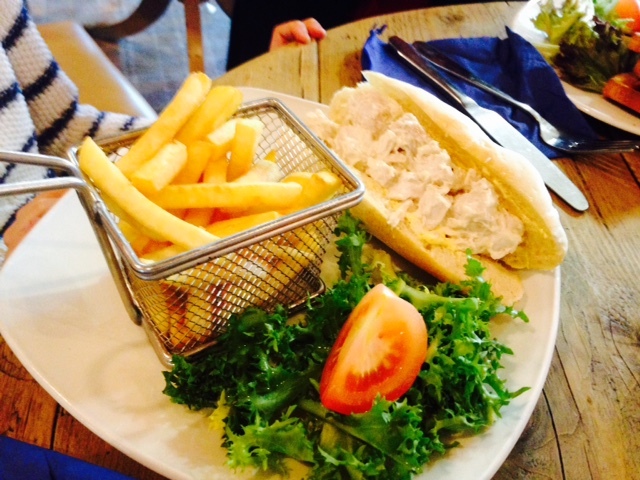 We finished of our visit with a bit of Après Ski in the Lodge Bar, where you are transported to Austria with a great selection of authentic Austrian dishes or a few of your favourites. 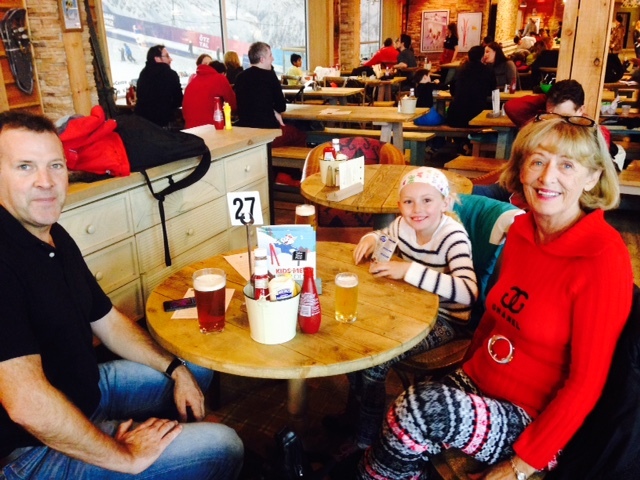 The prices were reasonable, great view of the slopes and fantastic atmosphere. 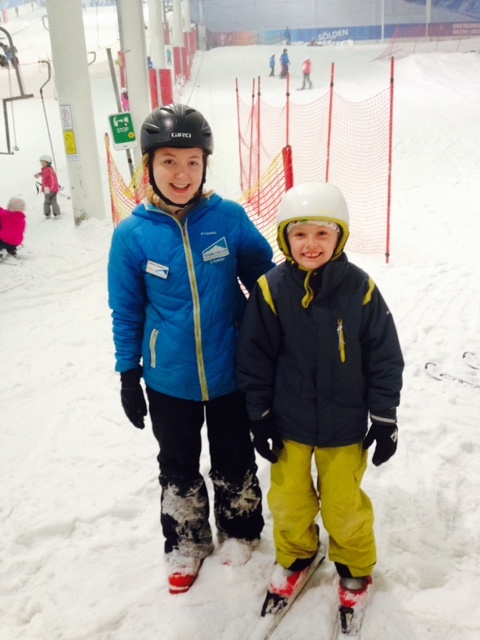 I think if anyone is considering a ski holiday or looking for something to do during school holidays, I would definitely recommend a trip to the Hemel Snow Centre. You can book lift passes and lessons online or follow them on Facebook for deals and news. Now your chance to win! 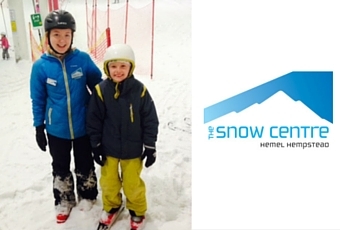 The lovely folks at the Hemel Snow Centre are offering my readers a chance to win A family lift pass, 2 adults and 2 children, any time in the next 12 months. To enter simply use the Rafflecopter form below. The full Terms and Conditions are at the bottom of the form, but in short it’s open to UK residents 18 years and older. The winners would have to be at recreational standard, or the value can be put towards a lesson. Competition closes on the 1st Dec 2015.